Shumsky, Oleksander [Šums’kyj], b 2 December 1890 in Zhytomyr county, Volhynia gubernia, d 18 September 1946 en route to Kyiv from Saratov, Russia. (Photo: Oleksander Shumsky.) Revolutionary and national-communist leader. He joined the Ukrainian Social Democratic Spilka in 1908. After the February Revolution of 1917 he worked for the Kyiv gubernia zemstvo administration and became a leading member of the Ukrainian Party of Socialist Revolutionaries (UPSR), which he represented in the Central Rada. In January 1918 a UPSR group including Shumsky conspired to overthrow the Rada. At the Fourth UPSR Congress in May 1918, he was a leader of the left faction of the Borotbists, and in the autumn he was a member of the Borotbist Chief Revolutionary Committee that took part in the popular insurrection against the Hetman government. In January 1919, together with the Russian Bolsheviks, he organized a rebellion in Left-Bank Ukraine against the Directory of the Ukrainian National Republic. During the second Soviet occupation of Ukraine the Borotbists entered into an entente with the CP(B)U, and Shumsky was appointed commissar of education in Khristian Rakovsky's Soviet Ukrainian government (see Workers' and Peasants' Government of Ukraine). He introduced policies to combat Russification and foster a Ukrainian cultural rebirth. In March 1920 Shumsky merged the Borotbists with the CP(B)U, and in April he was appointed to the CC CP(B)U Politburo and Organizational Bureau and the Comintern Executive Committee. That same year he became commissar of internal affairs in Ukraine and chairman of Poltava okruha's executive committee. After participating in negotiations on the Peace Treaty of Riga he served as the first and only Soviet Ukrainian ambassador to Poland. After returning to Ukraine in February 1923, Shumsky edited the monthly Chervonyi shliakh (until November 1926) and directed the CP(B)U Department of Agitation and Propaganda (May–September 1924). He replaced Volodymyr Zatonsky as Ukraine's commissar of education (September 1924 to February 1927) and actively implemented social and cultural Ukrainization policies. 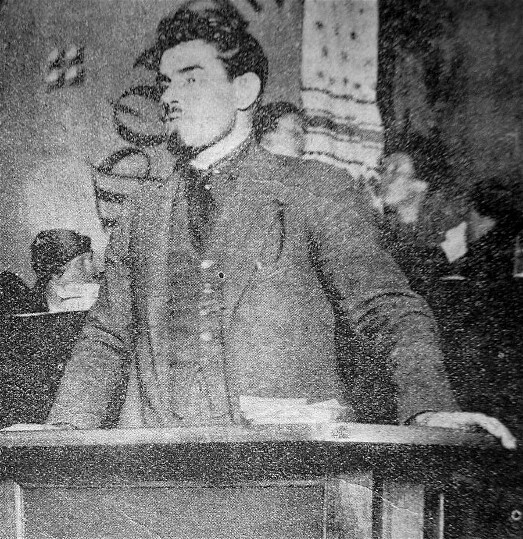 In 1925 he protested to Joseph Stalin against the appointment of the new CP(B)U general secretary, Lazar Kaganovich, and urged that he be replaced by a Ukrainian, Vlas Chubar. Shumsky called for accelerated Ukrainization and recruitment of Ukrainians to leadership positions in the CP(B)U and the trade unions in order to facilitate the de-Russification of Ukraine's working class. 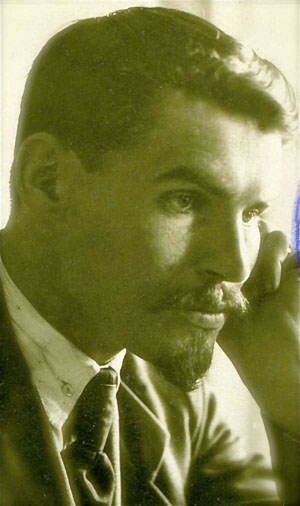 As a result of his conflicts with Kaganovich in 1925–6, a national-communist oppositional current, popularly known as Shumskyism, developed within the CP(B)U. Shumsky's ideas were echoed in the writings of Mykola Khvylovy, whom Shumsky refused to condemn at a CP(B)U Politburo meeting. Shumsky's line was supported by the CC of the Communist Party of Western Ukraine (KPZU) until Moscow, acting through the Comintern, managed to split the CC. In February 1927 Shumsky was relieved of all his posts in Ukraine (he was replaced by Mykola Skrypnyk) and transferred to Moscow. Thereafter the Party officially referred to Shumskyism as a ‘nationalist deviation.’ Shumsky was appointed rector of the Leningrad Institute of the National Economy and the Polytechnical Institute (September 1927), deputy head of the mass-agitation department of the All-Union Party CC (see Communist Party of the Soviet Union) (February 1930), chairman of the Trade Union of Educational Workers, and a member of the All-Union Central Council of Trade Unions (February 1931). In May 1933 Shumsky was arrested and accused of leading an anti-Party, counterrevolutionary, nationalist struggle in the CP(B)U and Communist Party of Western Ukraine, of belonging to the Ukrainian Military Organization, and of preparing an armed uprising in Ukraine. He was sentenced to a 10-year term by a GPU tribunal and imprisoned in a concentration camp in the Solovets Islands. He immediately began a campaign for his release. He managed to get his case reviewed in 1935 and, although he was not cleared, his sentence was changed to exile in Krasnoiarsk rather than imprisonment on the Solovets Islands. On 15 October 1937 he was arrested for a second time on a trumped-up charge of counter-revolutionary activity. 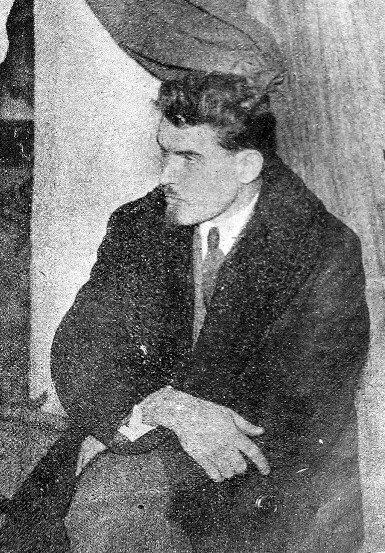 Because of his extremely poor health, Shumsky served his sentence in the Krasnoiarsk prison hospital until November 1939, when the new charges were dropped (although a term of exile until 1943 remained in force). 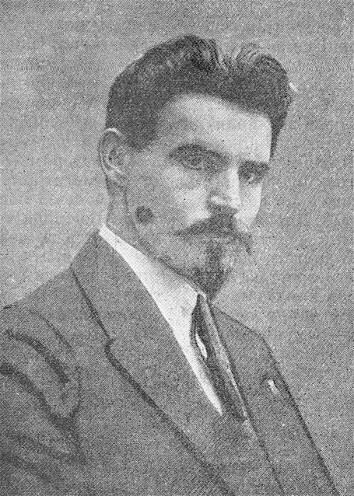 His wife, Yevdokiia (Honcharenko), was arrested on 18 October 1937, sentenced to death on 8 December by an NKVD tribunal, and then executed immediately thereafter. Shumsky served out the remainder of his exile in Krasnoiarsk, but was then unable to leave the city because of his precarious health. He arranged to be moved to Saratov in June 1946. While in that city he destroyed a manuscript (Malorosy [Little Russians]) he had been working on for years and attempted suicide unsuccessfully. Deciding finally to return to Ukraine, Shumsky boarded a Kyiv-bound train in Saratov on 18 September 1946. He ‘died suddenly’ en route, reportedly in Kirsanov, Tambov oblast. The former Soviet ‘special tasks’ operative P. Sudoplatov claims that Shumsky was killed upon orders from Joseph Stalin and Lazar Kaganovich.